Maybe not. 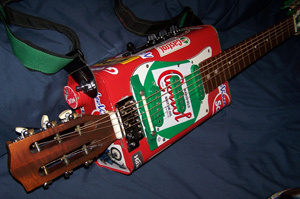 However, I had a great email today from a guy who has a passion for crafting his own unique, weird and wonderful guitars from everyday, household objects. 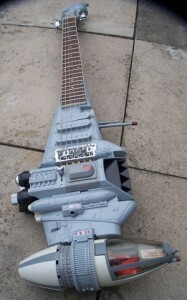 You name it; Tom Bingham’s probably made a guitar from it. Tom’s been making guitars for about 10 years and has dozens of “HOW TO BUILD” videos on YouTube. 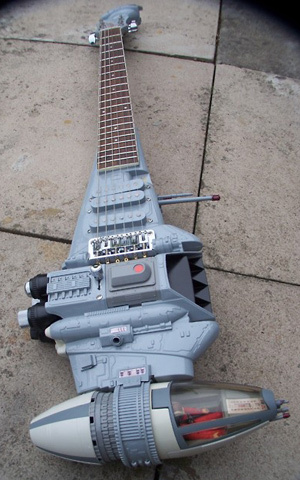 His guitar builds include The “B” Wing Fighter Guitar, The Millennium Falcon Telecaster, The Chessboard guitar, The Winebox, The Cricket Bat and his most recent creation; “The Double Header Oil Can”. The Oil Can features Strat electrics, 3 pickups, a 5 way switch, Telecaster parts and the necks are (or parts of) 2 Spanish acoustic guitars. It turns out the twin neck design arose as a result of the intonation being so out; Tom originally used a 17 fret neck and had to extend the strings by adding another headstock to the bottom! 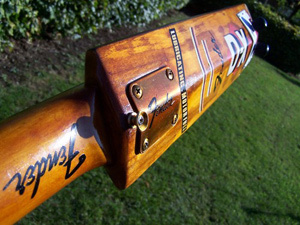 The “Cricket Bat” guitar was inspired by a Captain Sensible album cover. 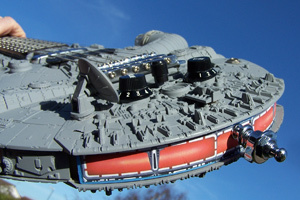 Apparently, it sounds a bit echoey as the bat acts as a huge soundboard. The “Chessboard Guitar” was a complete chess set Tom purchased at car boot sale, and he managed to incorporate every piece in the build. 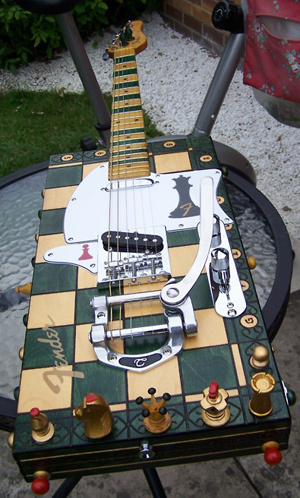 Tom also builds blues guitars and archtops, with his “BERT JANSCH” blues guitar being his favourite. Apparently Tom builds these guitars as a hobby and rarely sells his builds – he noted that building guitars to sell adds “added pressure”. Regardless, these guitars look great and I have to admit, playing a Millennium Falcon guitar would be uber cool! 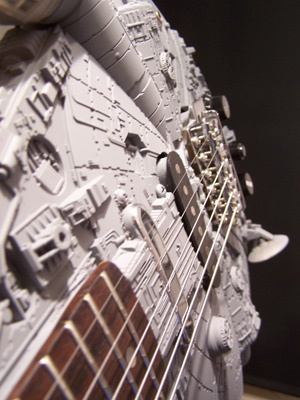 All guitars credited to Tom Bingham. For more information, visit Tom’s YouTube page.